I wasn't endorsing them. If their opposition is truly a result of losing an affordable place to shop, then they'd embrace Wal-Mart in a new condo development. There are other considerations in play here, IMO. Incidentally, I seek out and shop in stores with good prices but I wouldn't patronize a Walmart. If their opposition is truly a result of losing an affordable place to shop, then they'd embrace Wal-Mart in a new condo development. because Pathmark and Walmart are very different, and perceived differently by many people. There exists particular disapproval toward Walmart's way of doing things. I think you're deceiving yourself if you think Walmart's business practices are more harsh than those in the typical bodega or outer borough immigrant supermarket or 99 cent store. Walmart probably pays its employees minimum wage and attempts to hire legal workers, unlike outer borough markets and 99 cent stores. Likewise in Manhattan below Harlem, rents are too high and the spaces are too small to make Walmart logical. Target is successful, but its also different in that they actually offer good service at Target and are a slightly different, previously underserved, market that wants cheap stuff but not so cheap service and quality are bad. I think when Walmart finally does open, they may struggle to turn a profit. Try to keep up, will you? Did you even read my post? I compared Walmart to Pathmark, not bodegas. The point of disagreement arose from a statement regarding Pathmark and Walmart. P-A-T-H-M..... Oh jesus, forget it. Incidentally, I seek out and shop in stores with good prices but I wouldn't patronize a Walmart. It's a matter of principal. Plenty of the people in that neighborhood might feel the same, give them some credit. In fact, oppsition to Walmart in other areas of the city shows a general disdain for the effect their presence would have here, and for the inconsistency of their labor practices with New York expectations. Pathmark has a contract with the United Food and Commercial Workers Union so the logic is flawed: because Pathmark and Walmart are very different, and perceived differently by many people. There exists particular disapproval toward Walmart's way of doing things. You may be surprised to hear this coming from me, but I too despise Wal-Mart. I avoid it like the plague, and on the off-occasion that I absolutely have to buy something there, I'm in and out in 5 minutes. I've had to do a case study and some other research on their practices, and a lot of what they do is downright illegal. I'm surprised they've gotten off so easy until now. It's not that I'm against principle. It's that I think the opponents to the plan are using the loss of an "affordable supermarket" as an excuse to protest the project. That's why I brought up the Wal-Mart analogy. For better or worse, gentrification is changing their neighborhood. This is one instance where they have a tangible threat to draw attention to. I came to this conclusion through a thought exercise: if the Pathmark were instead a parking lot, or a gas station, there would still be opposition - to the height, to raising neighborhood prices, to construction noise. But there would be fewer opponents, and their argument would be less persuasive. I just came across this blog after driving past the site a few days ago. I am curious, does anyone know what happened- and why nothing was ever built? Probably the same reason little was built anywhere the last few years- the global economy collapsed. 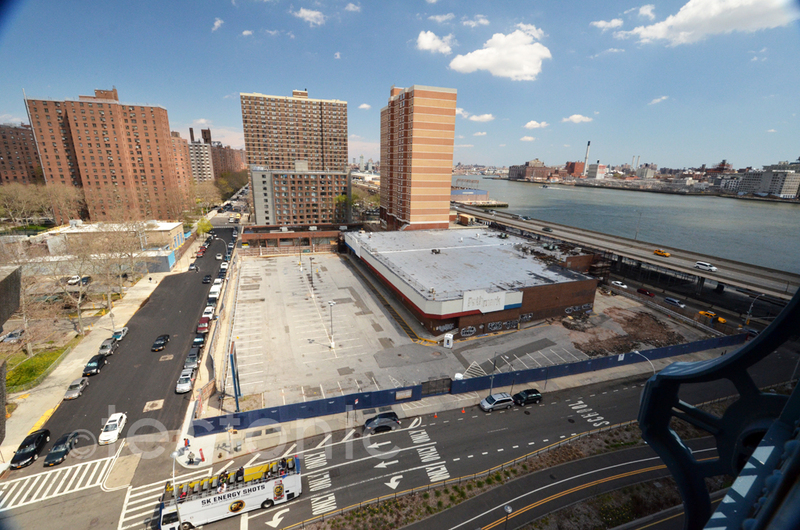 Demolition of the Pathmark is supposed to begin soon. 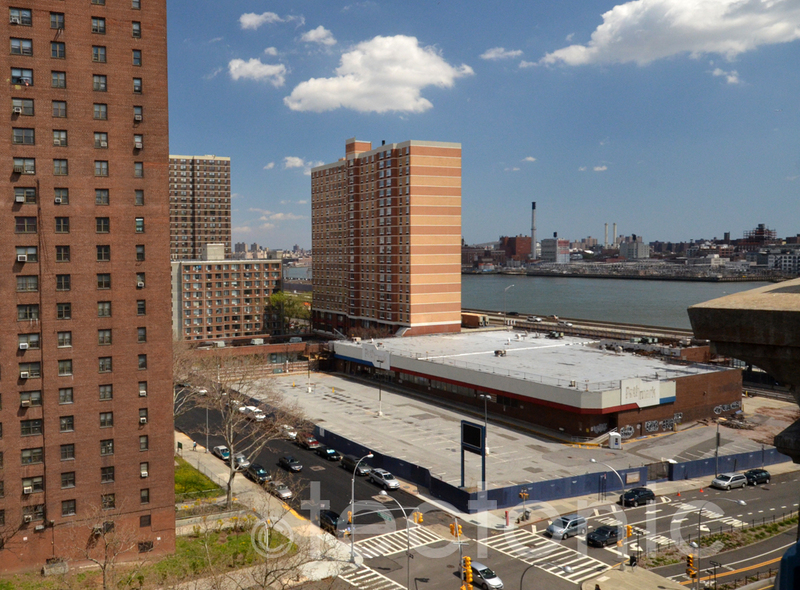 I wonder if Extell will play the game of chess match (like they did with Vornado on CPS) with the adjacent site of the former Pathmark pharmacy, where they're proposing to build an affordable housing building. Extell now holds the lease on that site like they did for the Vornado garage. Permits filed for an 800' tower. Adamson Associates are probably the architects of record as they are for Extell's Nordstrom Tower. Perhaps Adrian Smith are the designers of this one too. I bet this balloon was taking shots of views for this project. The views btw will be incredible. For better or worse, this will be a gamechanger for that area of Chinatown and for any semi-marginal area with generous zoning to play with. A big white balloon appeared in New York this week. First on the Lower East Side, then uptown, where 57th Street meets the East River. ^Funny. This is an interesting location for this tower.